For Carpet Cleaning London Call Us Today! An Eco Friendly Company. 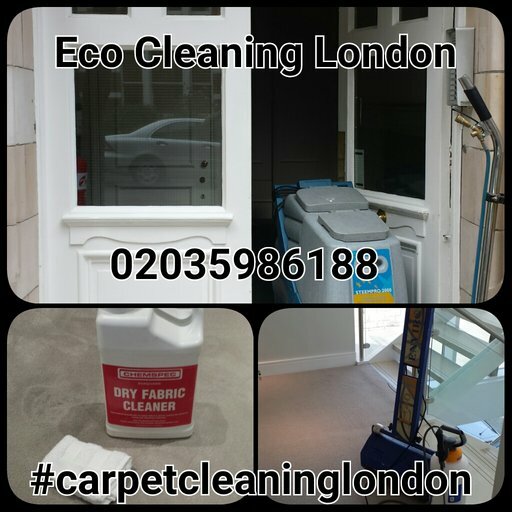 Carpet Cleaning London Call Today! Welcome to our website! 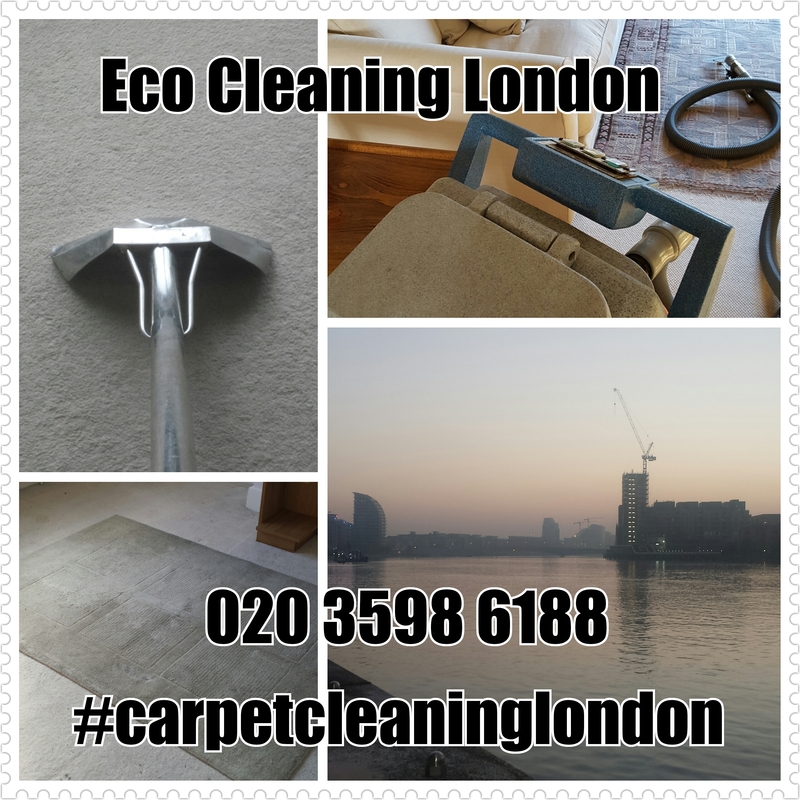 Eco Cleaning London can cater for all your carpet cleaning needs. We offer a deep clean of your carpet which can restore tired carpets back to their former glory! We can prepare your carpet for your end of tenancy inspection as well as dealing with stains and odor problems. With close to ten years experience Carpet Cleaning London, working for letting agents, estate agents and residential clients,we believe we can offer you the most thorough clean you'll find. We deliver this service using the best eco-friendly products on the market as well as using powerful extraction machines. Based in Chelsea we service customers throughout London. Which Carpet Cleaning Method Will You Use? As Professional Carpet Cleaners we will choose the method which is best suited to the type of flooring you have. The most common method we use is what people describe as Steam Cleaning. This procedure, also referred to as Hot Water Extraction, is the approach recommended by carpet manufacturers and can be used on both wool and synthetic carpet types. The benefits of this approach is that it offers the deepest of cleans and leaves your carpet as fresh as can be imagined. The way it works is very simple, yet very effective. In simple terms hot jets of cleaning solution are pumped into the base of your carpet and extracted using powerful vacuums. This procedure rids your carpets of all the dust and dirt which becomes trapped deep within your carpet over the years. For carpet cleaning London there really is no other option! Where this method is not suitable we can offer alternatives including low moisture and dry options. For more information give us a quick call on 020 3598 6188 and we'll be happy to answer any questions you may have. How Long Will our Carpet take to Dry? Having been in the industry nearly a decade we are well aware of the issues that are important to our customers. One question that pops up often is how long will our carpets take to be dry once they have been cleaned. This is a very important issue because there are so many scare stories in the media about carpets taking days, not hours, to dry. The truth is that drying times will vary from job to job but under no circumstances should it take a day. Where this occurs it is usually due to a lack of professionalism on the part of the operator and equipment which is under powered and not fit for purpose. In general our Steam Cleaning operatives advise customers that their rugs and carpets should be dry in between two and six hours. Times vary due to a variety of factors. For example a wool carpet will take longer to dry than a synthetic one and carpets will dry quicker in the summer than in the depths of a London winter. Furthermore where a room can be well ventilated the drying process will be quicker. If you need really quick drying times, perhaps it's an office or a shop, then speak to us about alternatives. We offer low-moisture and dry options. Can Your Carpet Cleaners Remove Stains? A stain on your carpet can ruin the look of your newly decorated living room. Alternatively it can be a very costly mistake if you're living in a rental property. With this in mind we are often asked if our carpet cleaners can remove stains by customers. Our answer is that yes we can but we cannot guarantee the removal of all stains. This is an honest answer because sometimes, despite using the best spotters and equipment going, it's impossible to do. The general rule is that the longer a stain is there the more difficult it is to deal with. We recommend that you call us as soon as possible if you spill something. In our time we have removed wine, oil, food, coffee and tea stains from both wool and synthetic carpets. We have also dealt with other not to mention incidents which,non the less, need dealt with. In addition to stains we can sanitize and deoderise. Do You Use The Steam Cleaning Method? The type of machine our Carpet Cleaning London experts use to clean your carpets varies depending on which type of carpet you have. In general, as in about 90% of cases, we use a Prochem Hot Water Extraction machine. This powerful machine, from industry leaders Prochem, is a versatile machine that can be used in commercial and domestic settings. This wet clean is the standard approach to cleaning domestic floor coverings and is also used to clean rugs and upholstery. This steam cleaning machine is used in addition to those which we use for dry cleaning and low moisture cleans. This is because settings like an office often have a different type of surface which is more suitable to low moisture methods or, in some circumstances, dry options. Reasons vary but one crucial factor is that offices have lots of electrical systems which require us to keep moisture levels to a minimum. We all know the cost of laying a new carpet and the dread we have of somebody spilling wine or coffee on it. A way to lessen the anxiety of this scenario happening, apart from laying large rugs everywhere, is to apply a protector. In basic terms a protector adds a very thin layer of a protective plastic-like substance to the fibers of your carpet. This makes cleaning spills up far easier and reduces the chances of those spillage turning into ugly stains. As you know once something has stained your carpet there is no guarantee that it can be removed. Carpet Protector can be applied to new carpets or freshly cleaned carpets. The investment is something which you'll be glad you took the time to do the next time disaster strikes! Why Not Sanitize and Deoderize Your Carpet? It's reality that in any family there will probably be someone who suffers from allergies. Carpets are known to trap and harbor many allergens and such which irritate people and reduce the quality of the home environment. In addition to cleaning we can also offer a service which neutralizes these harmful bacteria and allergens and in doing so improve the home environment. Speak to us today and improve your home! Don’t wait, just give us a call on 020 3598 6188 and get your rugs, carpets and upholstery cleaned by our professional carpet cleaners in London.